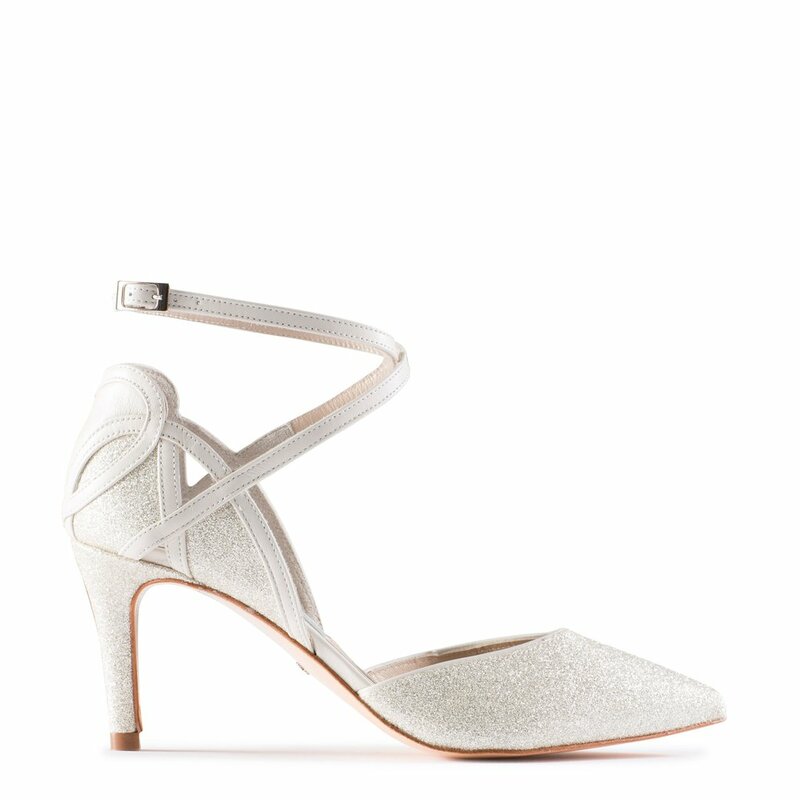 Our brand new stiletto version of bestselling style, Meg. Featuring our signature fine champagne glitter, Harriet is the perfect height for those seeking both comfort and elegance on their big day. 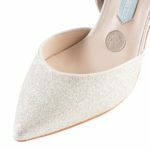 Sleek and stylish point toe d’orsay court shoe in ivory leather and glitter with a delicate ankle strap creating a heart design on the back of the shoe.